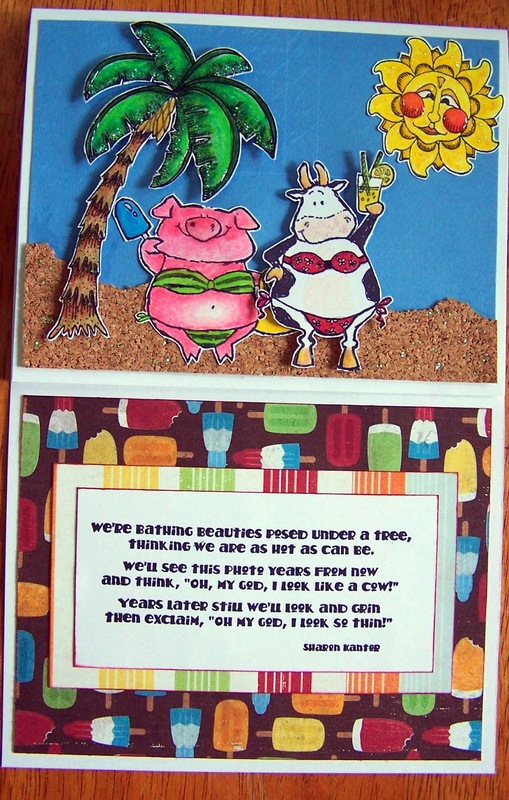 Now how is this for a cute card for one of our August Make N Takes?? August Make N Takes will be held on Friday, August 1, from 5:00pm - 8:00pm and Saturday, August 2, from 10:30am - 1:30pm. This card and one other card (yet to be determined) will be available for making. Pre-Registration is required as well as a $5.00 donation to Relay for Life!! Space is limited, so register early!! Whoop whoop, let the good times roll! 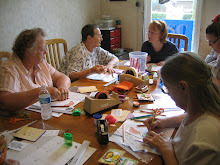 Ooooooh, the fun never stops at Cootie Coo Creations!! Stay tuned for more sneak peeks of our Craziness classes...don't you just LOVE all of this excitement! !